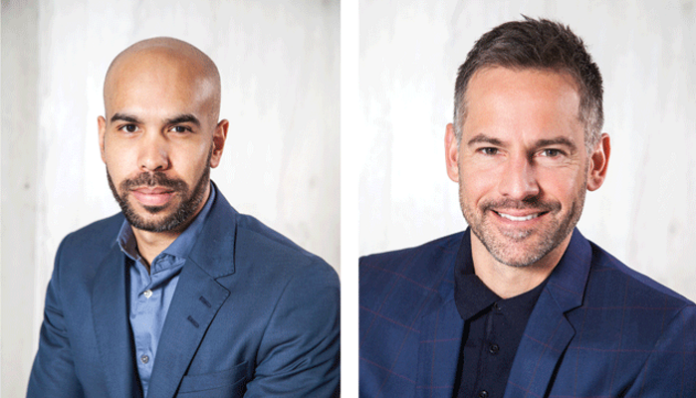 Yusuf Stevens and Janez Vermeiren are the managing directors of Cheeky Media – a dynamic, award-winning production company. Cheeky Media produces the popular television shows Real Talk with Azania, The Man Cave, The Morning Show and Winging It. Self-proclaimed ‘disrupters’, Stevens and Vermeiren chatted to Screen Africa about doing things ‘differently’ in the media business. What are the biggest challenges facing producers in the television industry today? How do you combat these? Y: Funding. Broadcasters have been forcing producers to work with very limited resources for a while. Hybrid funding models can be used to combat this – raising money from clients and corporates as well as from broadcasters. J: The biggest challenge facing producers in the TV industry today is to get broadcasters to believe in you. Broadcasters don’t often like to take risks because if they take a risk and it fails, it obviously impacts on their advertising sales… I think that’s where the excitement comes in with all these new platforms because there are now other platforms, outside of traditional platforms, for young producers to hone their craft and prove themselves. With the rise of VOD continuing steadily, what changes have people in the business of film and television had to make? Y: I think VOD will make the industry a lot more competitive. VOD is also going to reward producers who own their material (IP), as opposed to those who sold off to broadcasters don’t have any assets to bring to the VOD market. J: In my opinion, the landscape of content, and that’s across traditional broadcasting and VOD, is probably more exciting than it’s ever been. There is more content being produced right now than ever before. Every brand is producing content and they know that content has to live everywhere. It has to be radio content, TV content, social media content, and as a producer that is traditionally in the TV industry, these times are very exciting because not only can we now produce for TV and make films, but we’ve got so many other platforms that we can expose our content on. Is there a place for both VOD and traditional broadcasters in the future? Y: VOD will be (in my opinion) the way the next generation consumes media. J: There is definitely a place for VOD and traditional broadcasters in my opinion. The traditional broadcasters may not get the huge numbers that they used to get because now people have other options, but it does mean that it’s going to challenge TV producers to produce more cutting-edge content to draw viewers back to traditional broadcasting. Basically, competition is good and it’s good for everyone. What does it mean to be a ‘disruptor’ within the TV industry? Y: There’s no right way to do this. Vlogs are changing the way people look at production – if you can find an audience to support you, you have a platform for your content. J: We’re called Cheeky Media because we always try and challenge ourselves, and we think outside the box… That’s what made Cheeky Media stand out. We’ve never been ones to turn up our nose to any form of content production. We’ve produced some of the top TV commercials in the country, we’ve shot documentaries, we’ve done reality TV, a little bit of scripted content, talk shows, a lot of corporate work, and we haven’t boxed ourselves. As long as it’s content production, we’re up for it. What makes Cheeky Media different to any other production company? Y: We’re the underdogs who act like we have limitless resources – we also have a higher tolerance for risk, I think. J: What I think makes us different from other production companies is that we’re a one-stop shop, from pre-production to the creative process, to post production, we do it all. We have some of the best facilities and some of the best cameramen and DOPs who work for us. Everything is in-house, from pre-production to post-production. How does positioning the company as an agency benefit the business? Y: Production is not always profitable – you need to diversify your income streams to ensure you remain in this business. J: We started Cheeky Media five years ago and it’s been our objective to become the masters of branded content. When we started, there weren’t many production companies focusing on branded content, so it was quite an open space, a space where we could find our niche, and we became quite good at raising money and doing branded content… I think positioning ourselves as an agency and honing our craft as branded content producers, where we integrate the product as seamlessly as possible, has been our greatest success as a company. How do you plan on expanding within the next five years? Y: The way people consume content is constantly changing – attention spans are shorter and the idea of appointment viewing is fast disappearing. Viewers are also being spoilt for choice, however, if you produce good content that addresses topics that people are interested in, they will find your content. Some of our episodes receive more online views than the main broadcast, this is a challenge, but at the same time an opportunity. It’s always a good idea to discuss and analyse trends. Moving forward, we’re taking on more projects than ever before – we are diversifying our portfolio and are looking at other genres and formats. J: We’ve seen the industry where it is right now as a massive opportunity, there are so many places we can place our content and there are so many clients we can produce content for. For the next five years I want to see us continue with what we’re doing. We’re already producing for all the South African broadcasters – e.tv, SABC and DStv – and in the next five years we want to add Netflix, Showmax and whichever other platforms are out there. 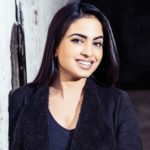 As South Africans, we want to produce content good enough that the whole world will want to watch, and that’s where I see ourselves moving towards.